Royal crown on display for public view - Integration Through Media ....! 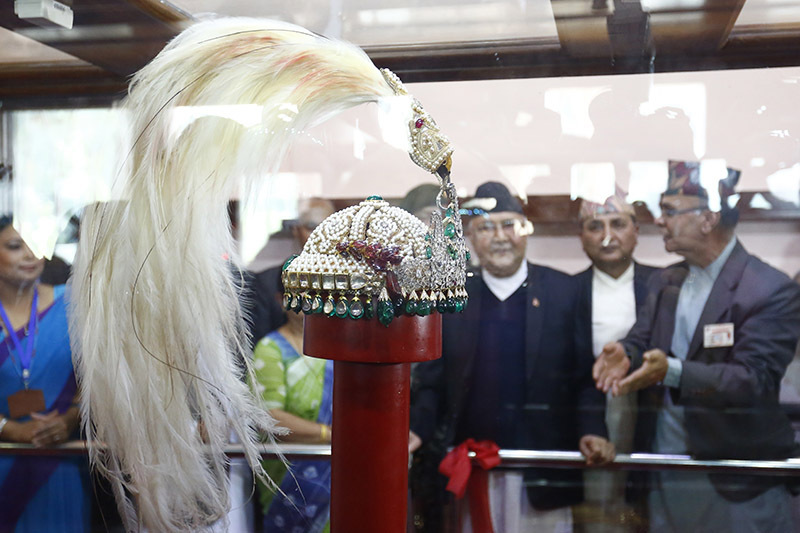 KATHMANDU: The Royal Crown symbolizing the 240-year-old existence of monarchy in the country has been put on display at the Narayanhiti Palace Museum. The crown also contained 730 diamonds and 372 pearls. The tradition of the Kings wearing the crown by the kings started in Nepal since the time of king Rajendra Bikram Shah.